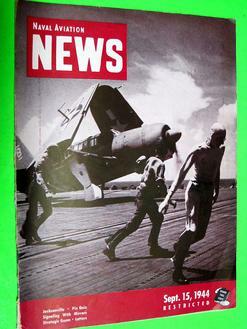 NP051 "SOUTH PACIFIC DAILY NEWS"
NP050 "SOUTH PACIFIC DAILY NEWS"
NP049 "SOUTH PACIFIC DAILY NEWS"
NP048 "SOUTH PACIFIC DAILY NEWS"
NP047 "SOUTH PACIFIC DAILY NEWS"
These twelve issues, January through December, are in the original "Automobile Digest" binder. 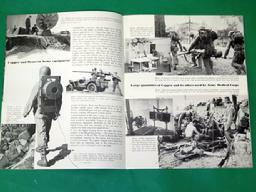 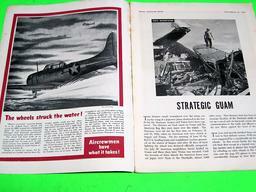 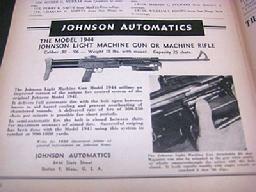 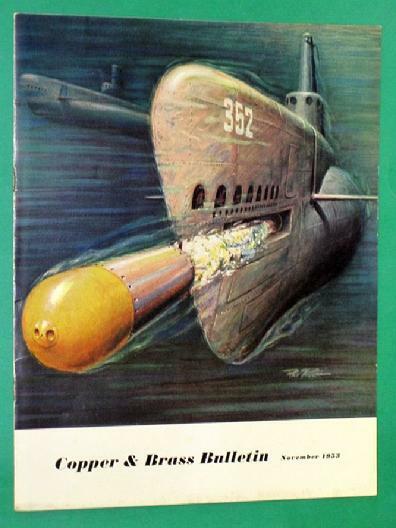 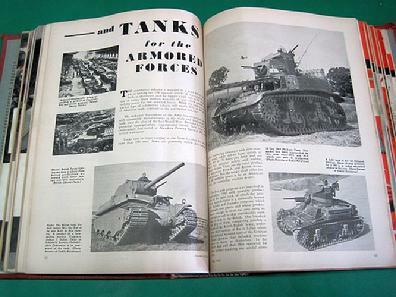 They are in good condition and there are many articles about military vehicles, ships and aircraft. 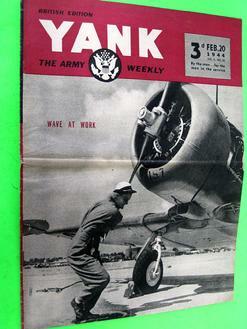 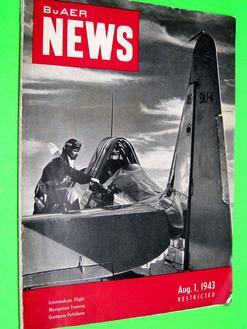 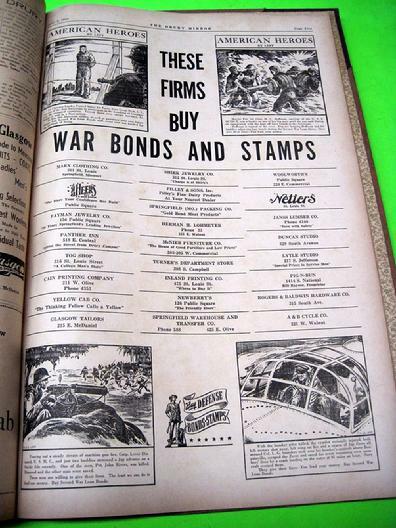 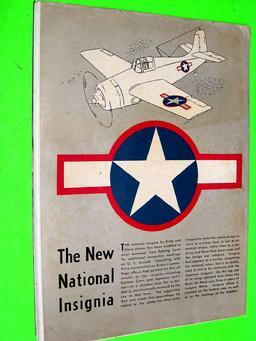 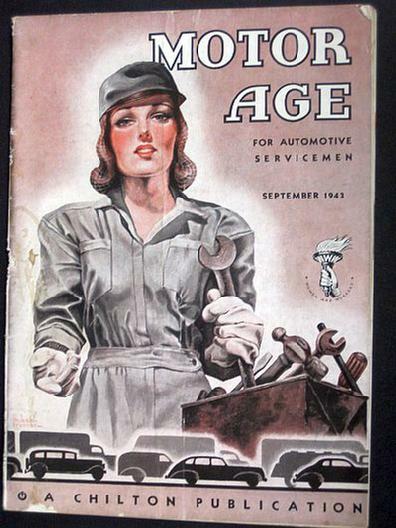 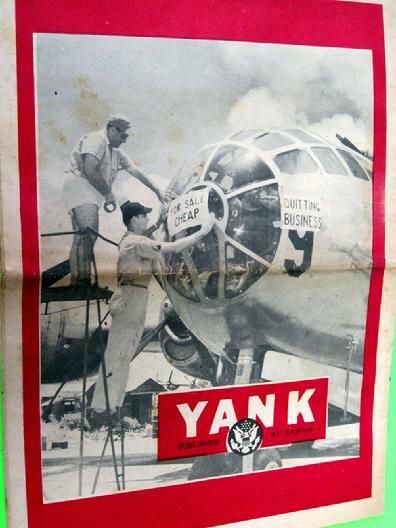 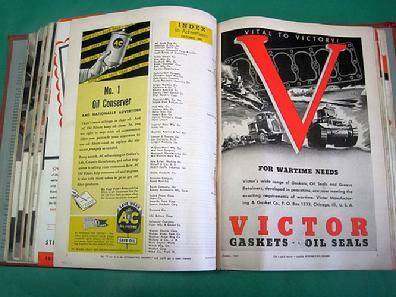 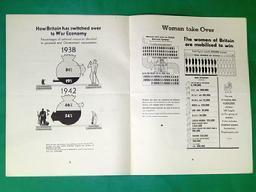 Many of the advertisements make reference to conserving metal and rubber, "Victory" and buying war bonds. 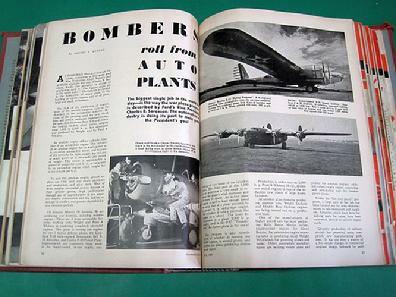 The binder is 3 by 8 1/2 by 11 3/4 inches in size and the twelve issues total 876 pages. 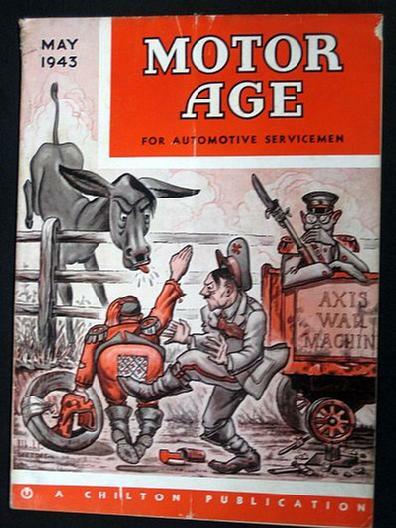 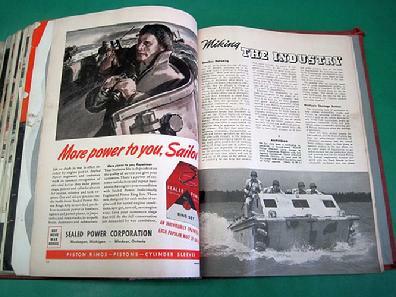 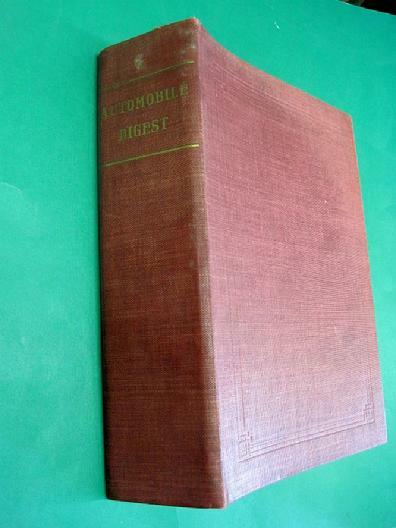 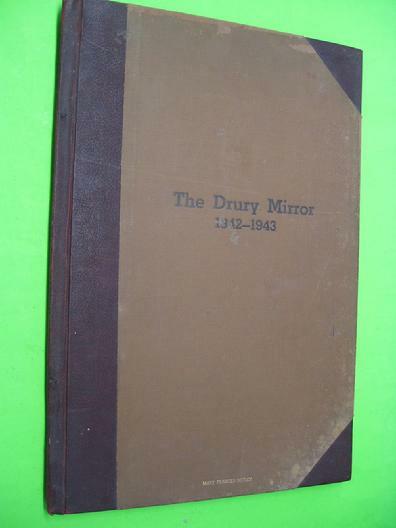 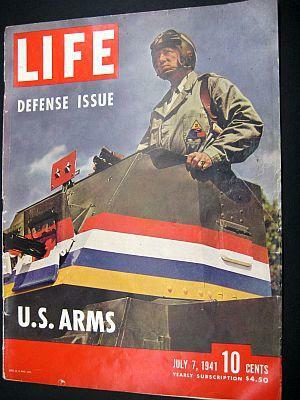 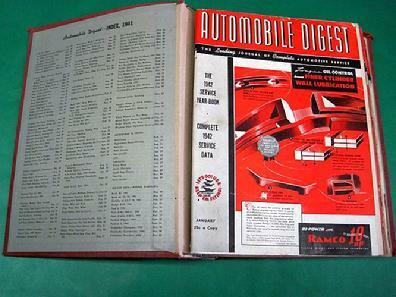 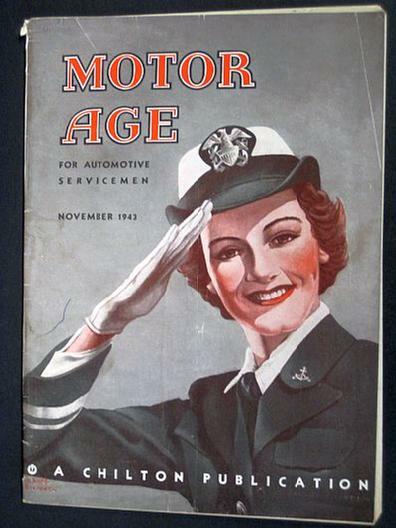 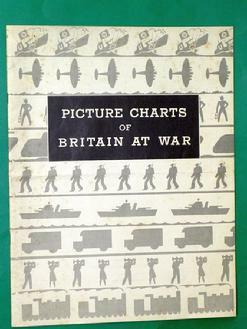 A wealth of information for the World War II era vehicle enthusiast. 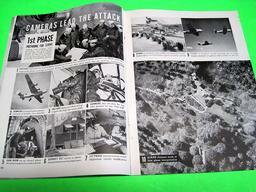 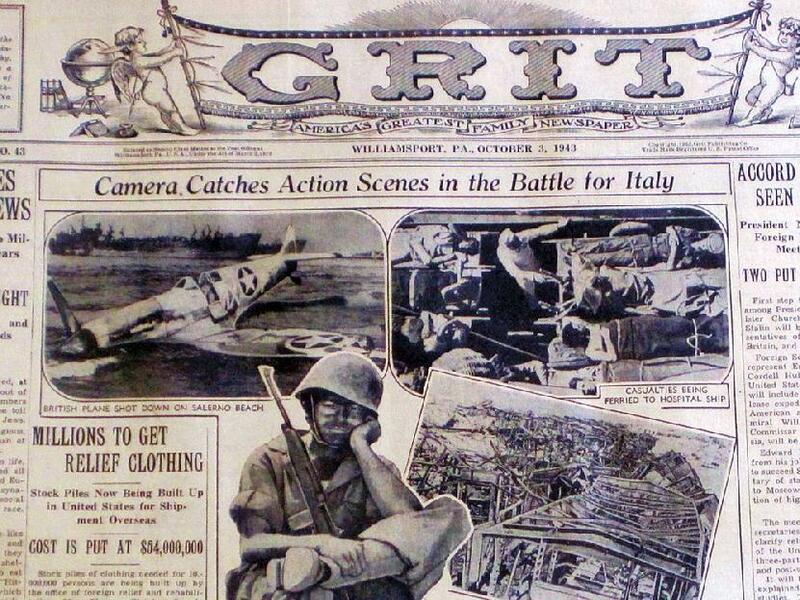 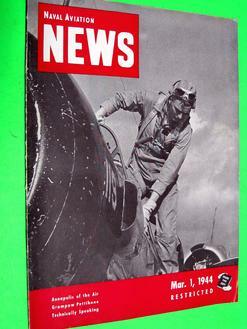 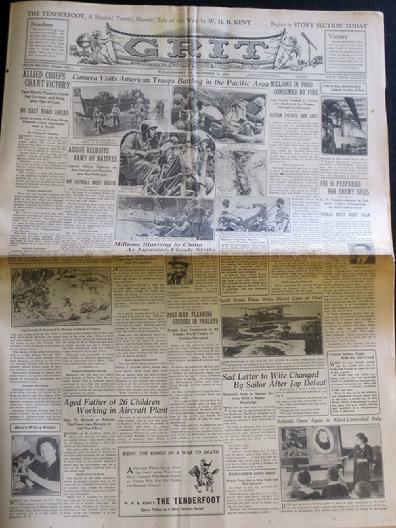 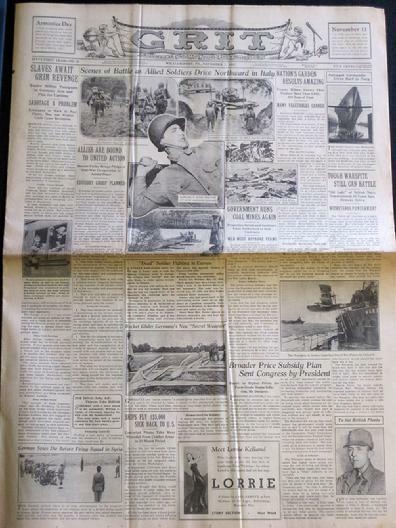 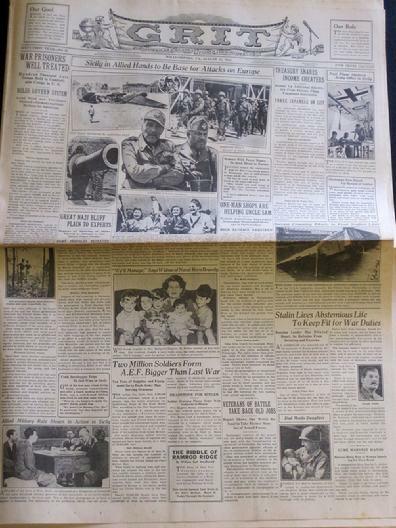 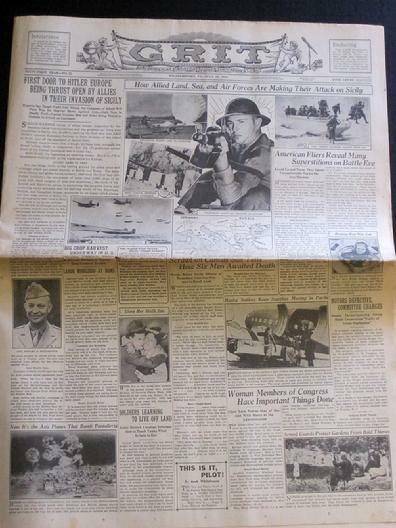 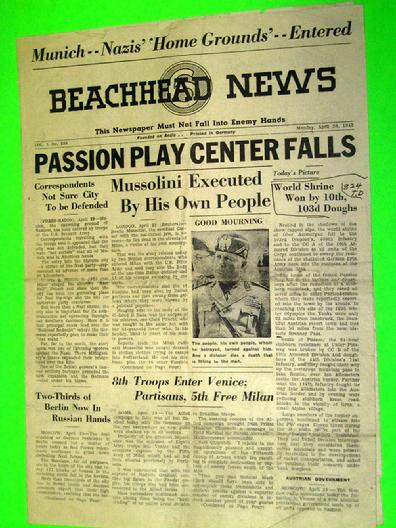 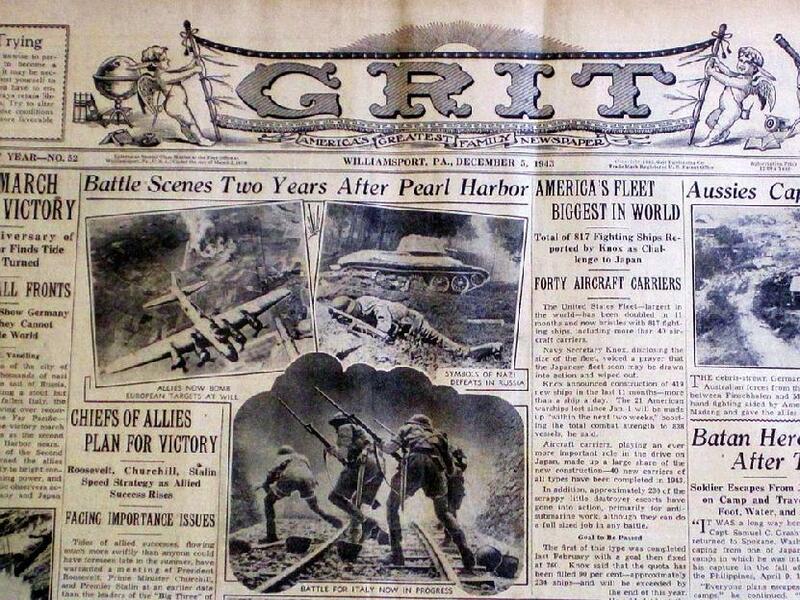 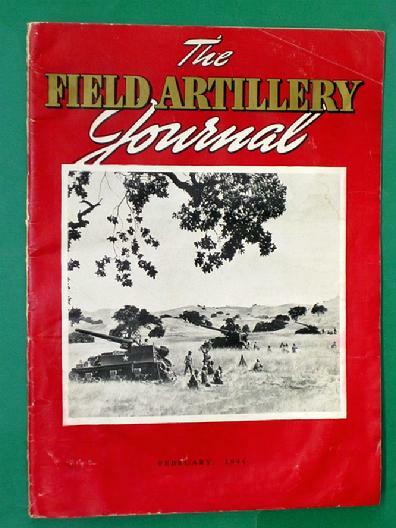 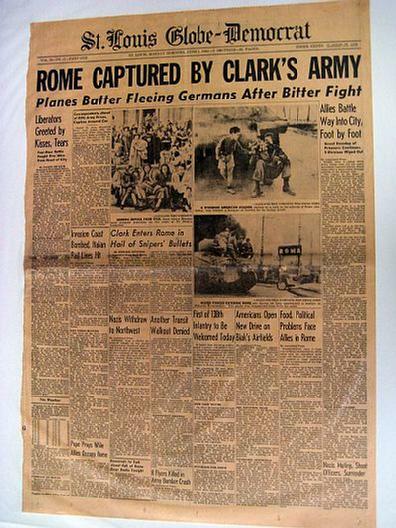 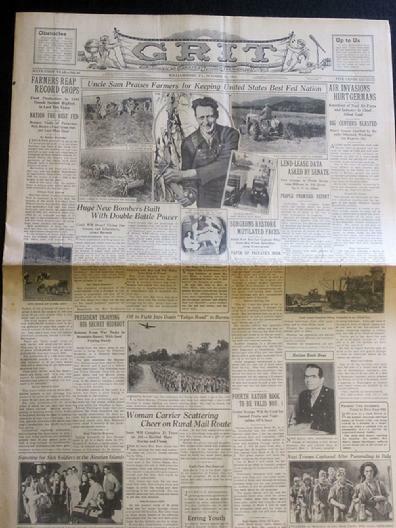 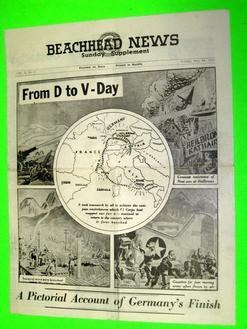 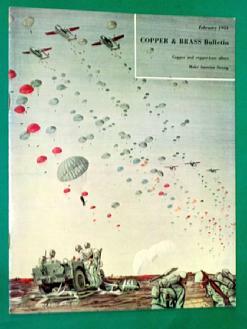 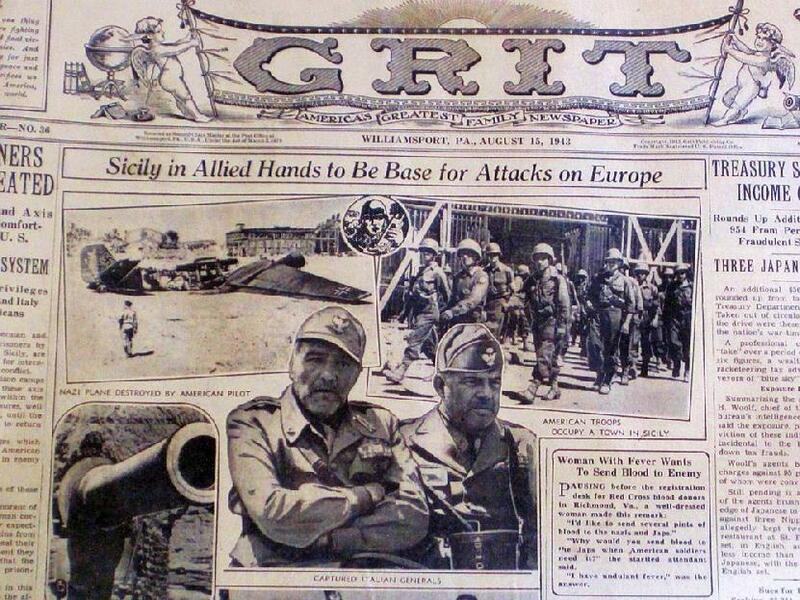 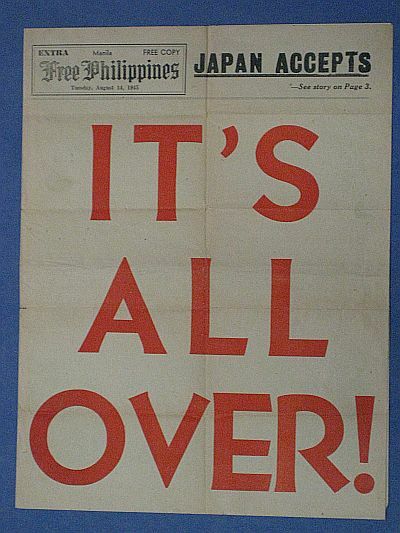 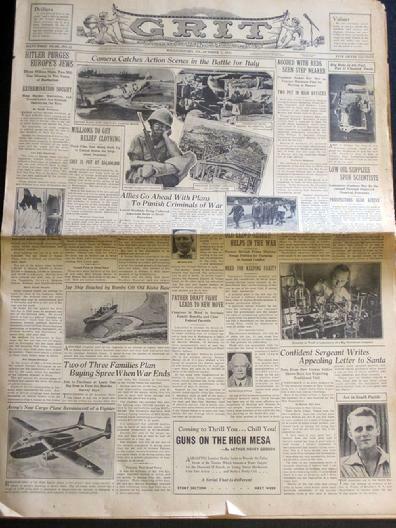 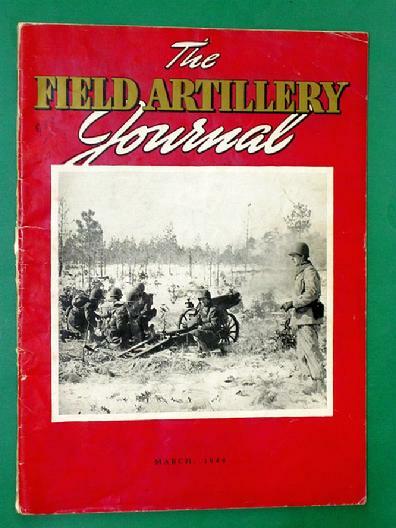 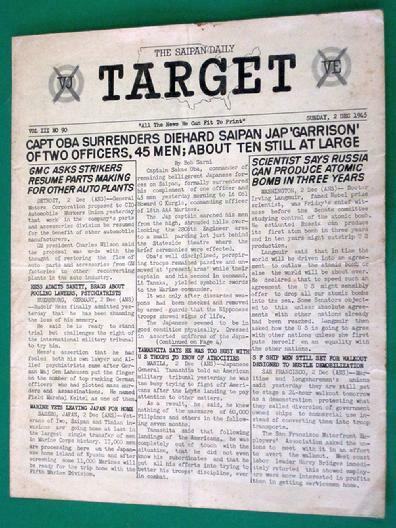 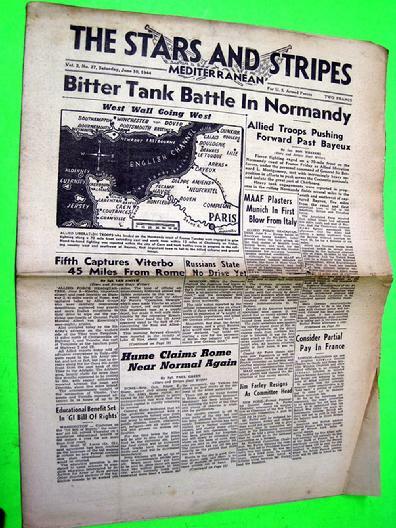 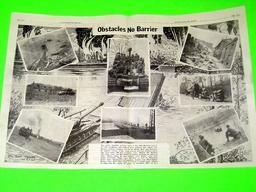 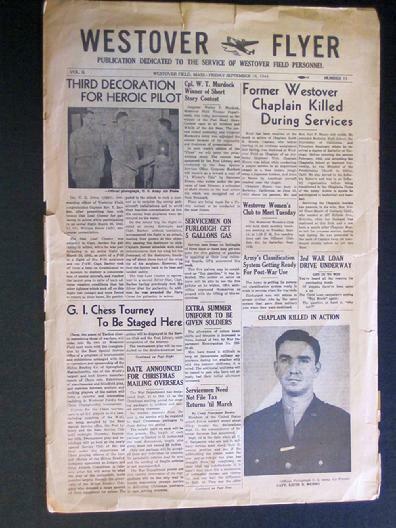 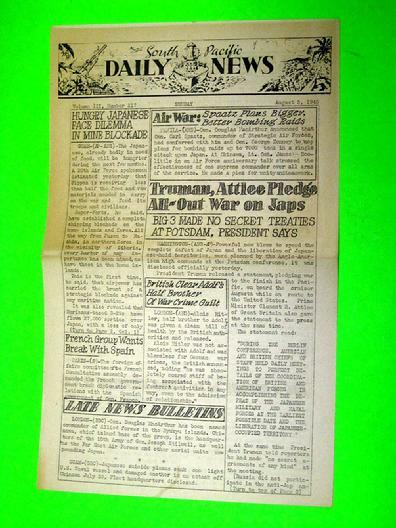 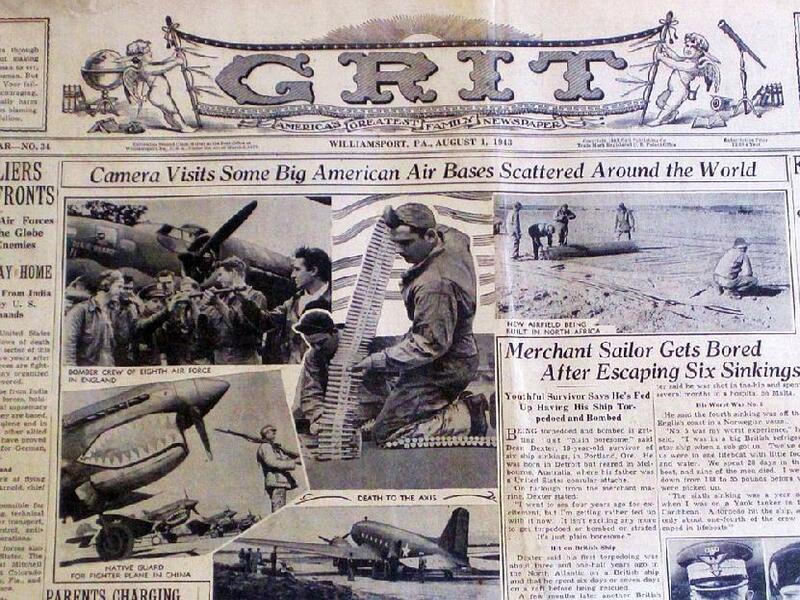 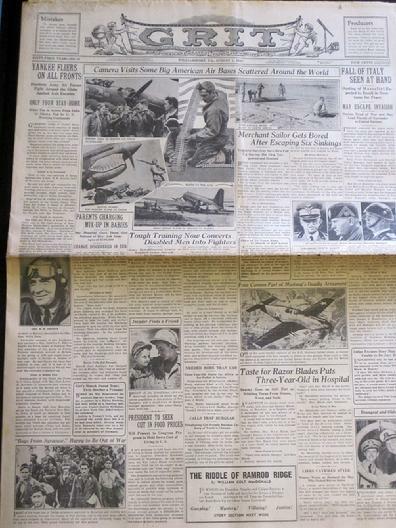 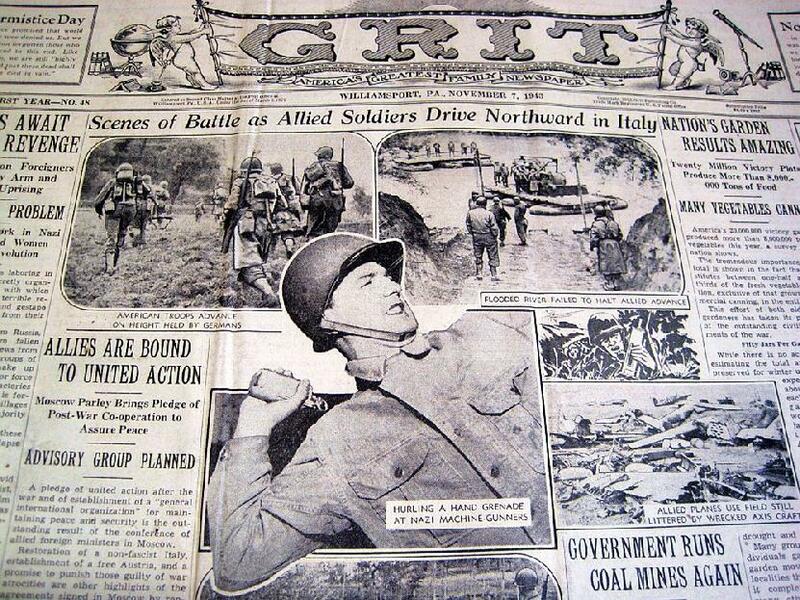 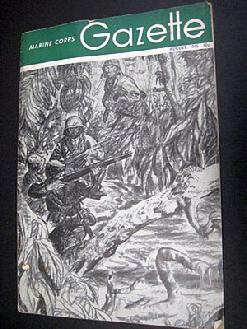 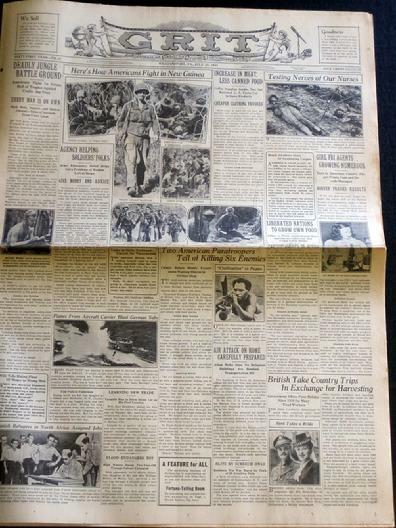 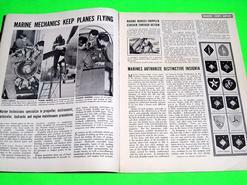 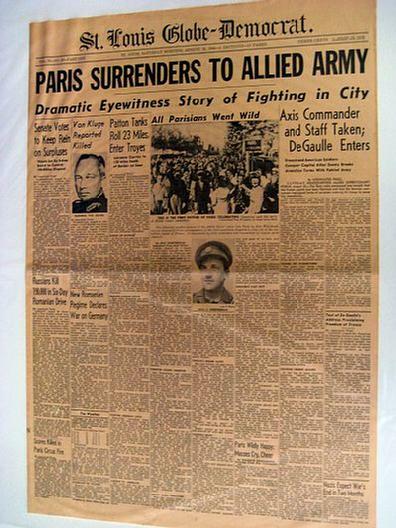 Overlord Military Collectables has a large selection of Stars and Stripes Newspapers, the Daily Newspaper of U.S. Armed Forces in the European Theater of Operations. 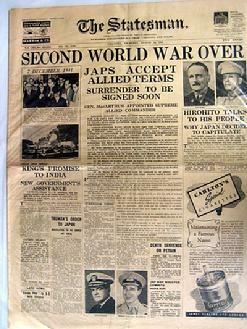 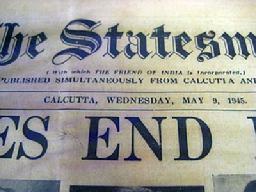 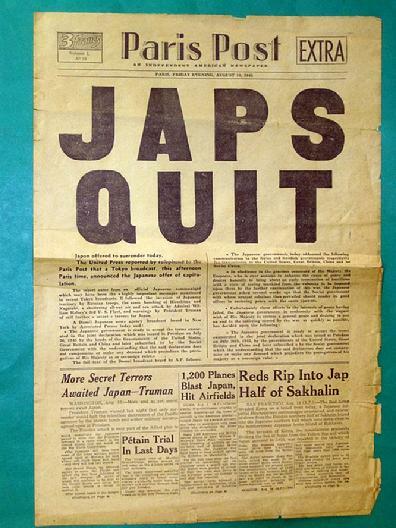 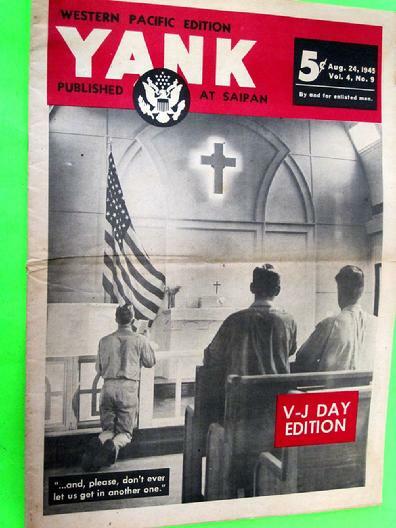 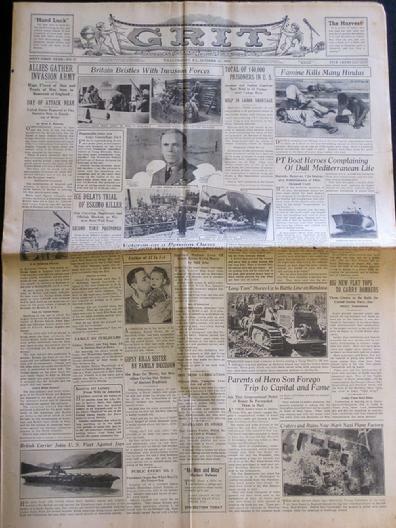 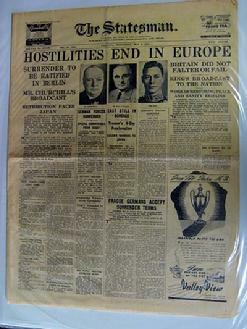 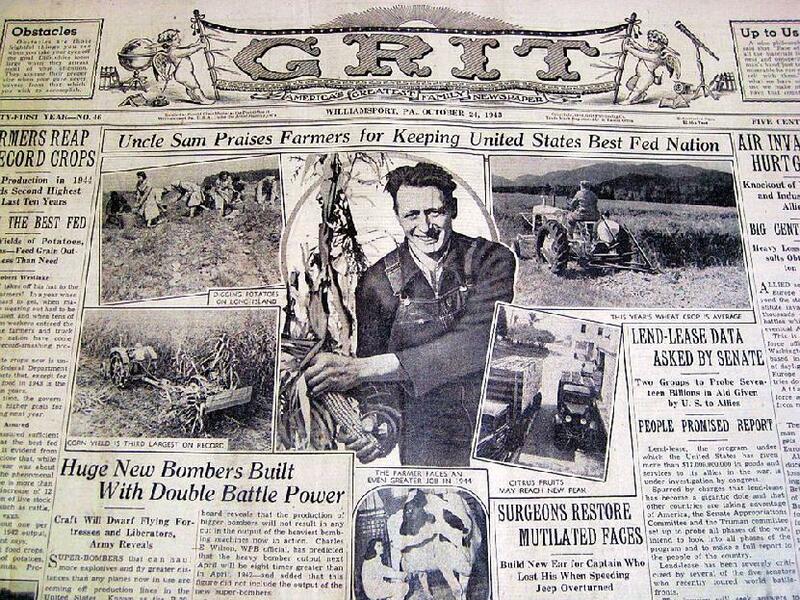 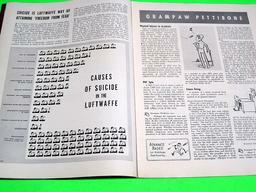 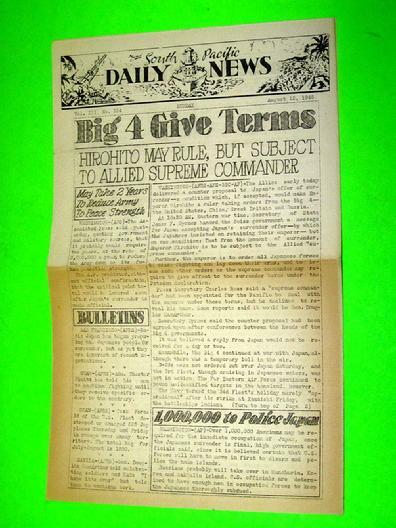 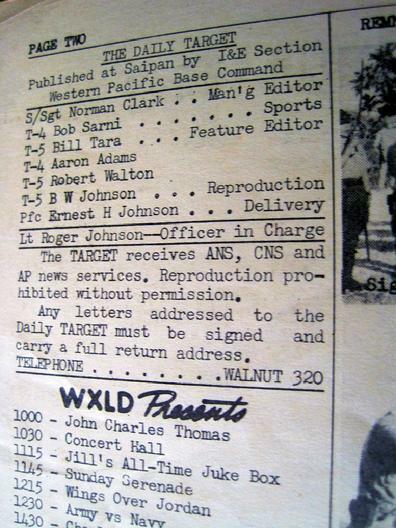 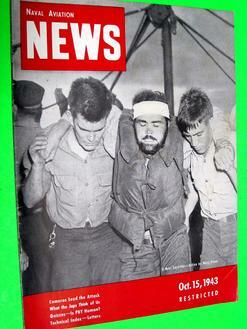 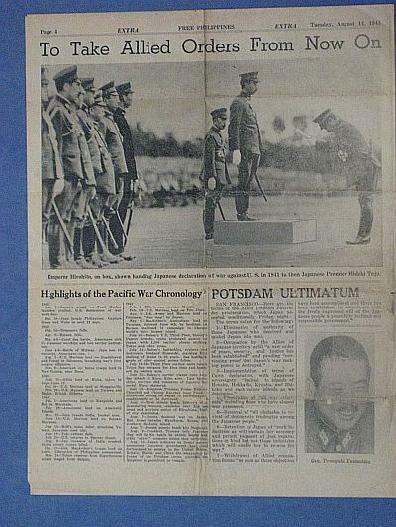 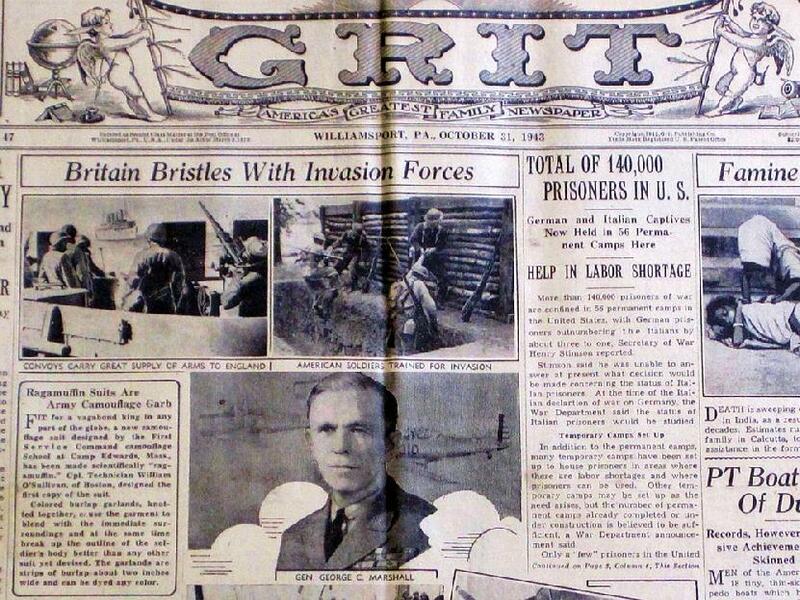 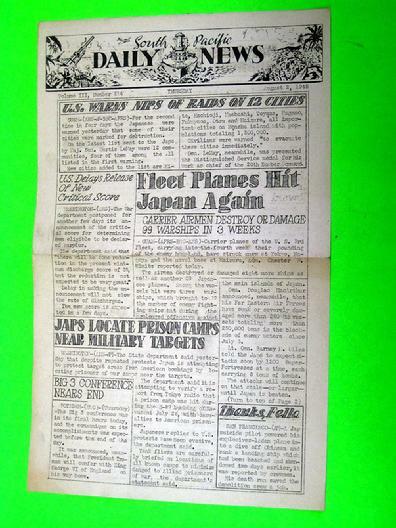 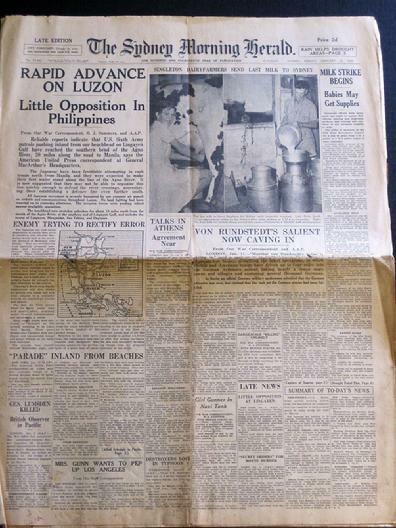 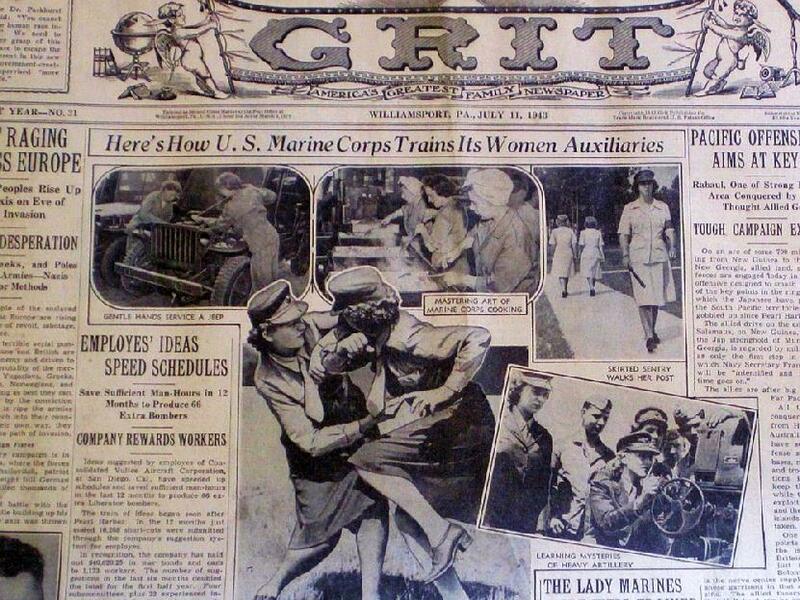 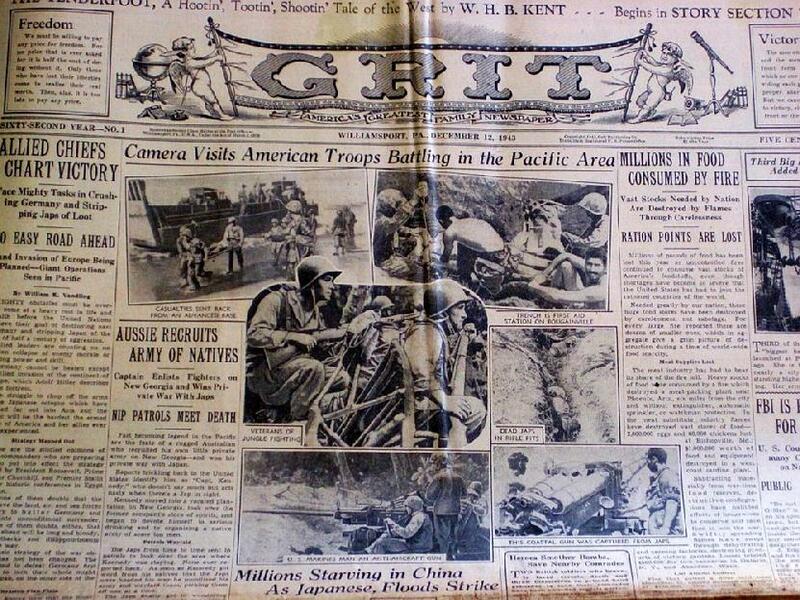 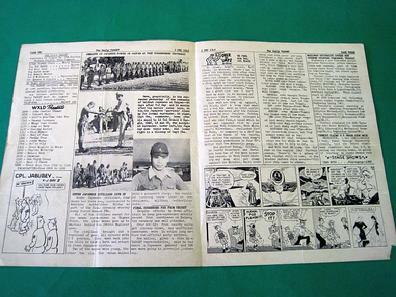 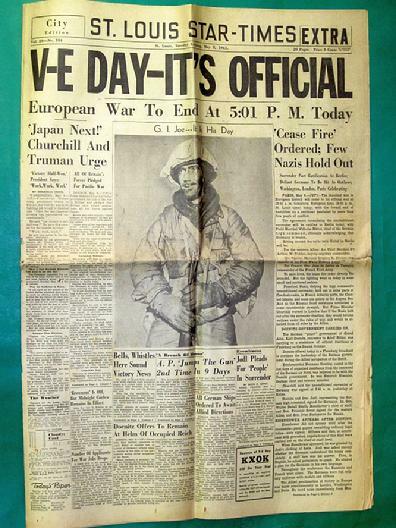 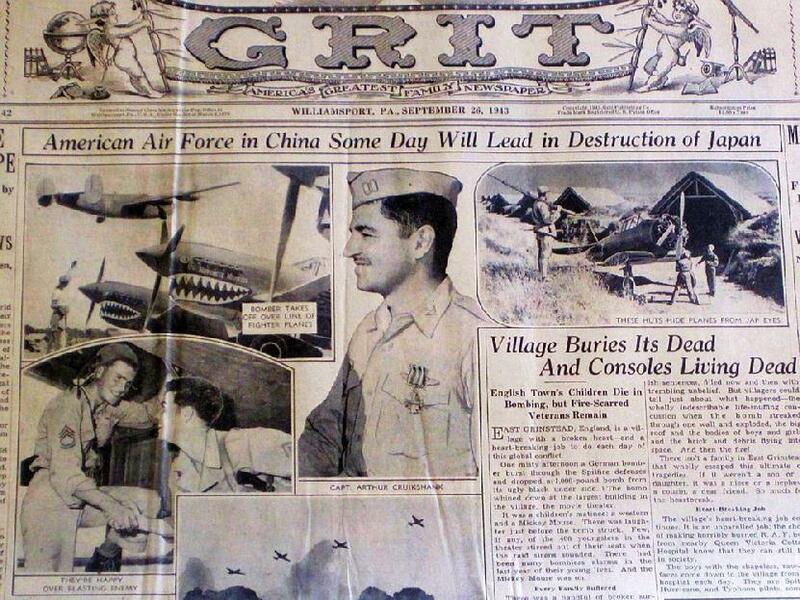 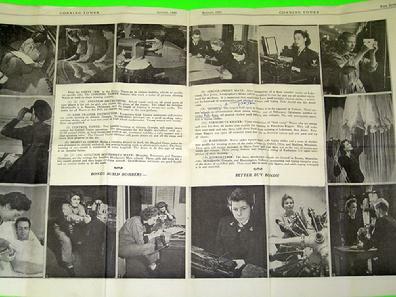 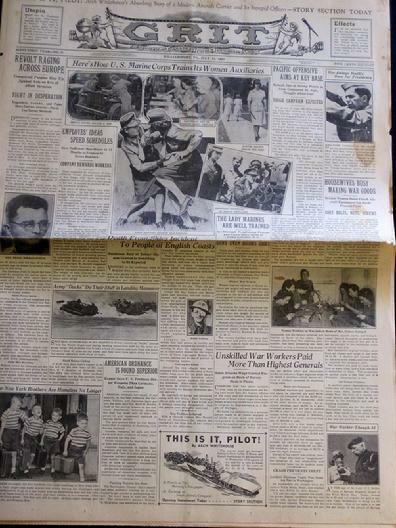 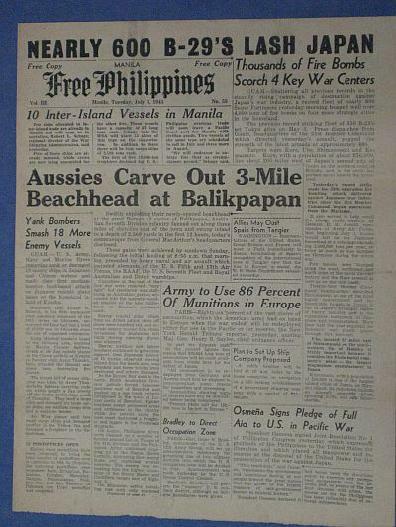 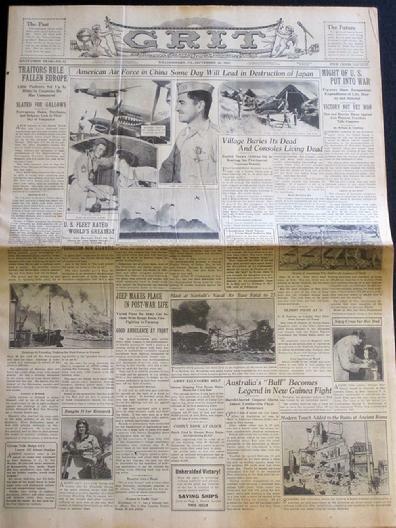 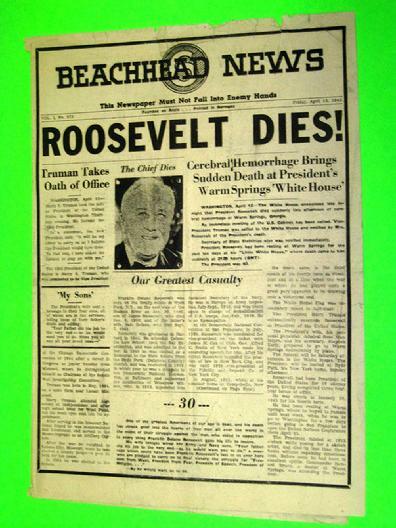 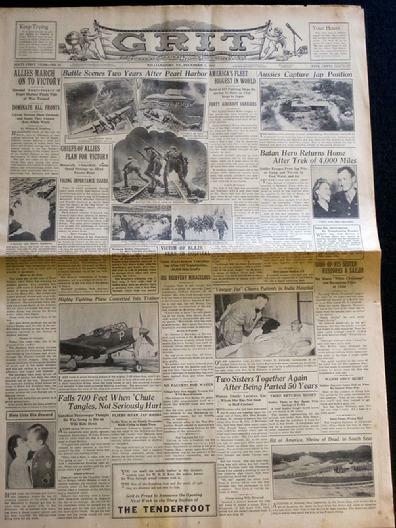 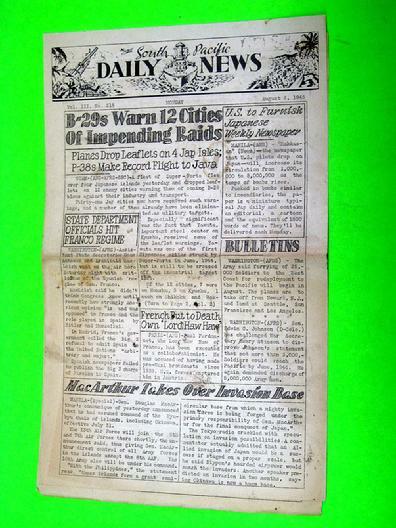 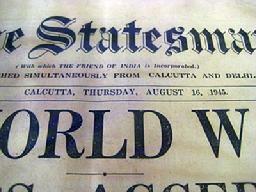 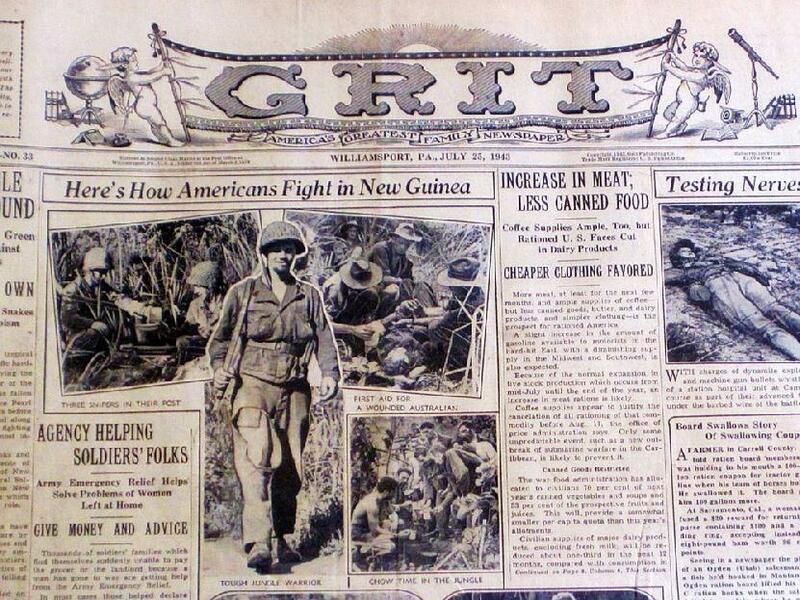 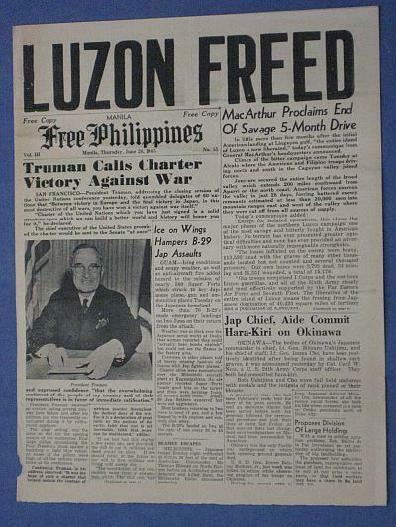 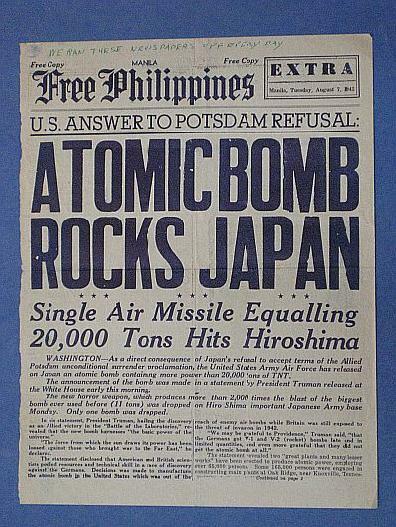 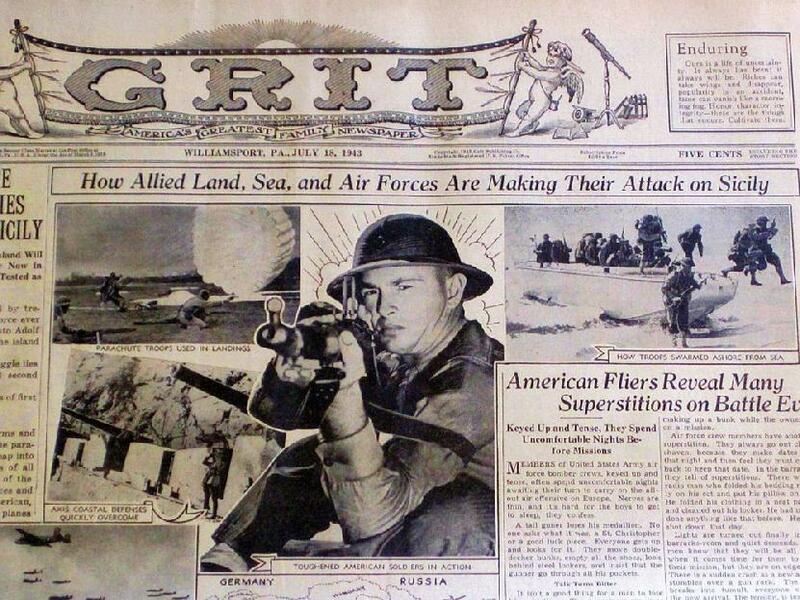 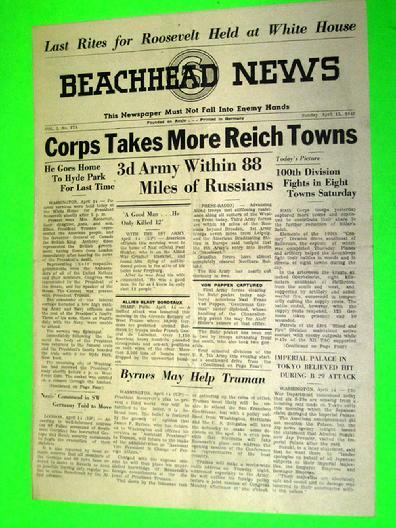 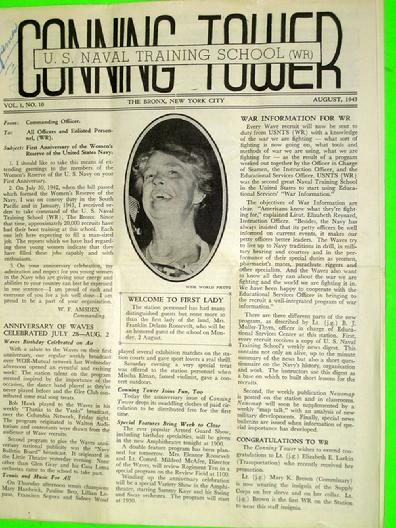 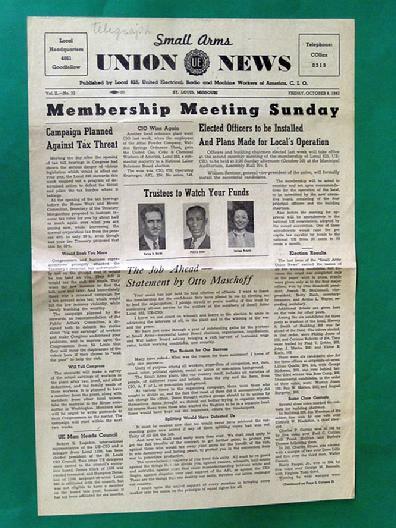 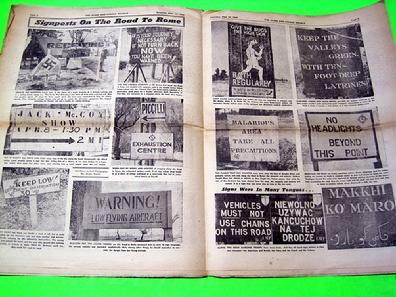 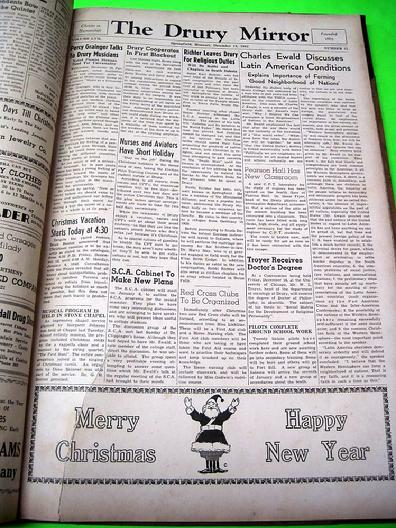 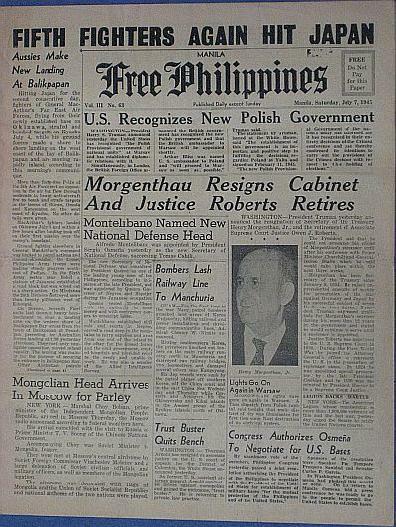 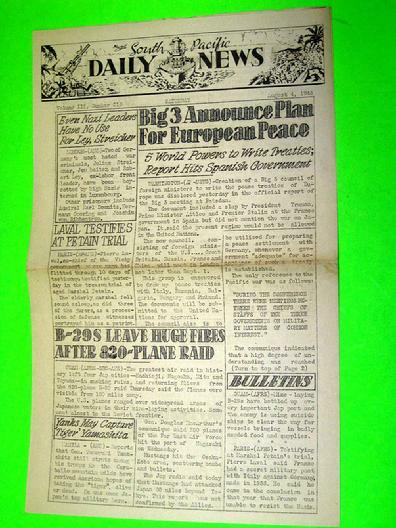 Also can be found Newspapers from many different states from World War II in particular. 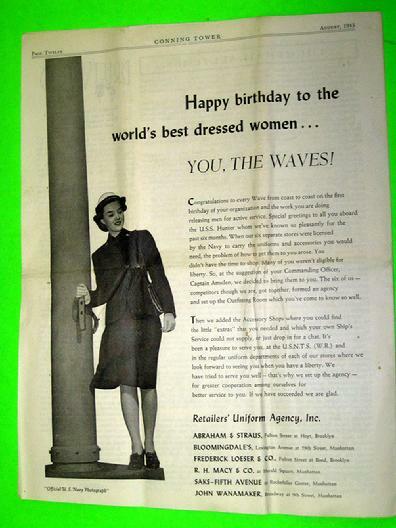 If you have a certain date or event, please email and we can search for your request.